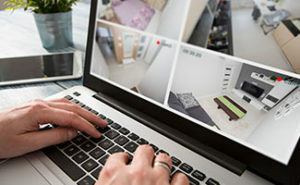 CCTV vs. Security Systems 2019: Which one is right for your home? With an average of three burglaries per minute in the United States1, the popularity and usefulness of security systems are on the rise. That said, some people prefer to take a do-it-yourself approach to home security—rather than use professionally monitored systems, they monitor their homes themselves through a CCTV system. CCTV systems and security systems each have their own advantages and situations where they excel. Below, we’ve listed our top three picks for security systems and CCTV systems as well as when each is the best choice. When we say security system, we mean a series of devices including window, door, and environmental sensors that connect to a central keypad or hub (and usually your phone). The networked devices provide real-time updates on activity inside and outside your home. Security systems are almost always professionally monitored as well. The most notable difference between security systems and CCTV systems is that security systems can deter crime and provide comprehensive security. Multiple studies have shown that the presence of a security system, whether or not it is active, reduces the likelihood that a home will be targeted by thieves. Some homeowners insurance companies even offer discounts if you get a home security system. Another advantage of security systems is that they send you notifications and alerts. The types of alerts you get will depend on the system, but you could get notifications for things like motion, humidity changes, and temperature fluctuation. Most systems will notify you of any changes via a mobile app so you can take immediate action. Security systems’ most important feature, which CCTV systems don’t have, is professional monitoring. While a CCTV system might alert you that motion is detected, it’s ultimately up to you to do something about it. But what if you’re asleep or otherwise unable to check your phone? With professional monitoring, a third-party company will keep an eye on your home. When suspicious activity is detected or the system is triggered, the company will alert authorities automatically. Essentially, it provides a layer of hands-free defense for your home. These three companies consistently rank atop our best home security companies list. After extensive evaluation of the pricing, the equipment quality, and the level of monitoring, we found that these three companies provide the best home security for the best value. A CCTV system is a series of cameras networked together to provide you with a comprehensive view of the areas around your home. These systems are great if you want to look in on your home throughout the day (and want a record of all of the happenings around your home), but they lack the sensors and professional monitoring that you get with security systems. That said, CCTV systems have a few shared benefits with home security systems and are an ideal solution if you want to be more hands-on with your home security. CCTV systems offer surveillance, but not so much in the way of security. But like security systems, CCTV systems can deter crime. The presence of a security camera dissuades most thieves from targeting your home because it makes it a more difficult target, and a CCTV system will store footage for longer if you need to provide law enforcement with video after a break-in. CCTV systems may also qualify for insurance discounts, but not always. Your insurance provider will have specific criteria in order to qualify, and these requirements sometimes include sensors and other accessories that CCTV systems do not include. 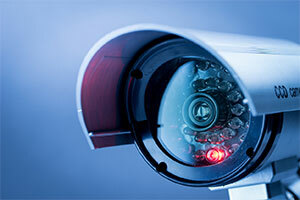 CCTV systems can be great safeguards against liability. If you have an incident on your property, you can refer back to the recordings on the system to determine whether the fault is your own or that of the other party. Because CCTV systems provide records of the events around your home (usually several days’ worth of recordings), you can review the footage at your leisure and take appropriate action afterward. We have reviewed CCTV systems before and provided a comprehensive breakdown of our choices. Keep in mind that, in addition to cameras, you will need a device with sufficient storage space to record the footage. The chart below details our top three picks for CCTV systems. * 960H resolution is the highest picture quality currently possible for analog cameras. Digital 720p resolution is about 50% clearer than 960H. While we prefer home security systems over CCTV systems for their professional monitoring, the choice is ultimately up to you. Maybe you have a summer home where there isn’t anything worth stealing, but you’d like to know what happens there on a weekly basis. A CCTV system would be perfect for that use, and a home security system may be more than you need in that case. Your choice boils down to this: a home security system allows you to take a proactive approach to your security but includes monthly and larger up-front costs, while a CCTV system is more reactive in nature but lets you save some money. You can respond to things only after they happen unless you catch the crooks in the act, but a home security system can alert the authorities before you’re even aware a break-in has occurred. Do you prefer a security system or a CCTV system for protecting your home? Tell us your opinion in the comments below, and make sure to let us know why you prefer one over the other.